I hope you have a great weekend planned. We’re going to hit up the Lake City Salmon Fest (car show, reptile man, parade!) and then we’ve got to hammer out the last of the basement work. Last week Chris and I simultaneously went on strike; we couldn’t handle another weekend of baseboard and door hanging. So we went for a hike at St. Ed’s, had a picnic in the park, and then zipped down to NW Trek on Sunday. It was a nice break. Chris has been working crazy hours (example: yesterday 5:30am to 8pm) and the kids are their usual exuberant selves. Add in high summer temperatures and it makes for a chaotic, hot mess. Am I allowed to start petitioning for autumn yet? I spend all winter wishing for warm weather and then I simply can’t handle the heat when it arrives. Fickle. 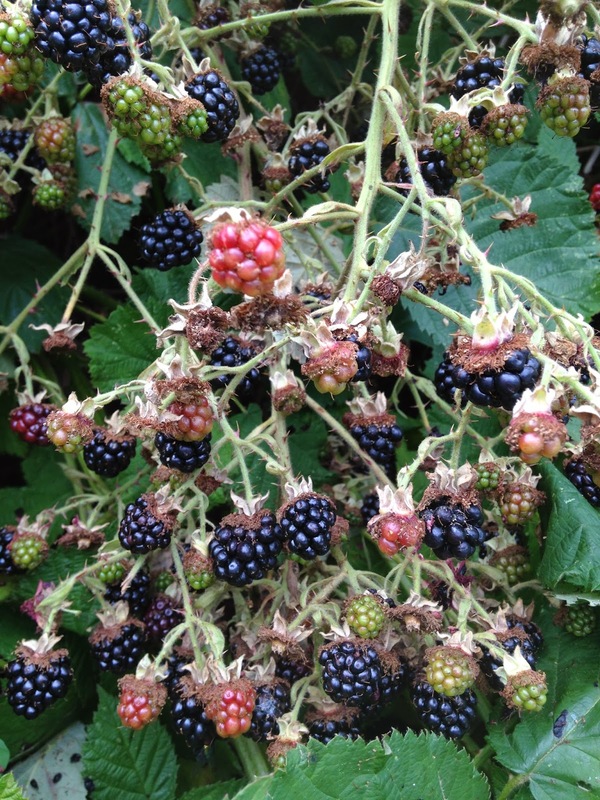 My friend M pointed out that the blackberry season is upon us and that an excellent place to pick them is the parking lot of our preschool. I’d tell you but then I’d have to kill you. Or at least poke you with a blackberry pricker. Ben’s mouth is permanently dyed red and I’m hoping we have enough for a tasty berry something tonight. Who Wins the Name Game. Ugh. I always find it fascinating (and slightly depressing) how one’s name can play into daily interactions. That’s a tough burden for soon-to-be-parents. Frankly, Chris and I were just attempting to find names that went well with our hefty (and long!) middle-last name combo.